The restrictions have come into force in the north and south of the city. 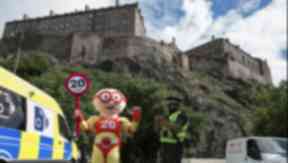 The second phase of Edinburgh's 20mph speed limit project has come into force. Parts of the north and south of the capital now come under the new restrictions, marking the half way stage of the scheme being rolled out across the city. 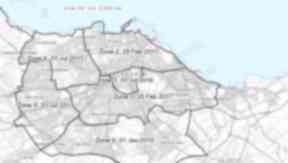 Areas including Leith and Granton in the north of the city will be affected, while there will be speed limits on a large stretch between Morningside and Portobello. Routes through Holyrood Park will be included in the 20mph zone. The council says the initiative will make roads safer. 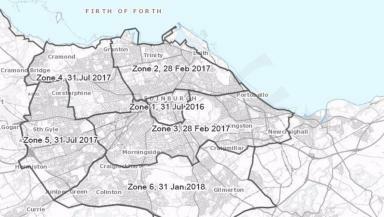 The first zone, in the city centre, went live on July 31 last year and since then police have taken action against 18 people caught driving at excessive speeds. As the new limit is rolled out certain arterial routes will be kept at 40mph and 30mph speed limits. Ultimately 80% of the capitals roads will be at 20mph, compared to 50% before. To mark the new roll-out on Tuesday, the council's 20mph mascot The Reducer joined forces with Hearts' Jock the Jambo and Hibs' Sunshine the cat to promote the scheme. Edinburgh City Council transport convener Lesley Hinds said: "We're bringing in 20mph limits for city centre, residential and shopping streets in Edinburgh after in-depth public consultation showed support for slower speeds in the Capital. "While understandably it's taken a bit of time for everyone to get used to the new limits, public opinion is still clearly very much in favour, as evidenced by the recent poll in a local newspaper showing more than two thirds of respondents backing 20mph. "The 30mph default limit in the UK dates all the way back to the 1930s, when there were far fewer vehicles on our roads." An interactive map has been created to allow residents to see which streets will come under the new limit. However councillor Nick Cook, transport spokesman for the city's Conservative group, said the scheme had divided residents. 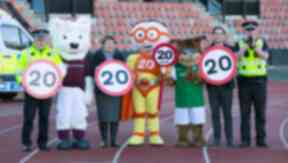 Cllr Cook said: "Thus far, the Council's blanket 20mph scheme has proved divisive and marred by confusion. "The policy in neither environmentally friendly or efficient. Evidence suggest 20mph schemes produce a reduction in speed of just 1mph. 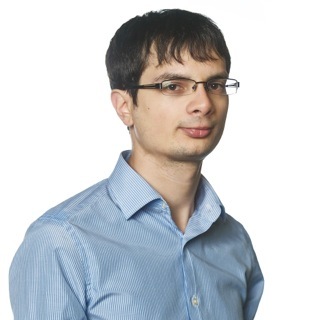 "This again raises questions on whether Edinburgh's blanket 20mph roll-out is a prudent use of £2.2m of taxpayers money, which could have been targeted more intelligently on more effective road safety measures." Chief inspector Mark Rennie said: "Casualty reduction on our roads remains a priority in Edinburgh and we continue to work alongside our relevant partners to promote safe and responsible driving practises, including adhering to speed limits. "Since the launch of 20mph speed zones in the capital, officers have monitored these roads and taken appropriate action whenever motorists were observed travelling at excessive speeds. "In particular, we have focussed our attention on the areas around schools and this will continue as more 20mph zones are rolled out across the city. "Whenever we are alerted to areas where the speed limit is not being observed we will respond accordingly with the appropriate resources."